Plant visibility and control with no downtime through a unified control system. 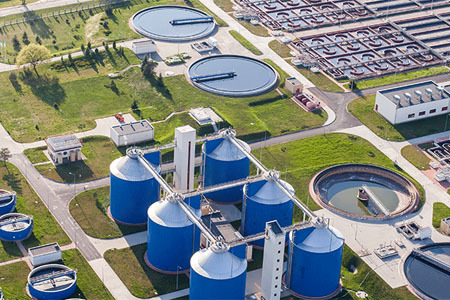 Population growth, increasing water demand and aging infrastructure are straining the wastewater treatment systems of big cities. In Hong Kong, the government launched an initiative to improve the water quality in Victoria Harbour, as the existing wastewater treatment facility for Kowloon and Hong Kong Island was releasing excessive untreated wastewater inflow into the sea. The initiative consisted of two stages, HATS 1 and 2. The ABB Ability™ solution for HATS 1 and 2 consisted of a sophisticated unified distributed control system (DCS) with a total of about 43,000 I/Os installed on both the original and the expanded part of the plant. The DCS supervises the entire sewage works, providing operators with full control over the older and newer parts of the plant. ABB executed the installation of the new control system during normal plant operations and without requiring unscheduled shutdowns. The unified DCS provides the end user with an integrated plant automation system, adaptable to future expansion and providing operators with full control over the older and newer parts of the plant. Furthermore, the upgrade to ABB Ability™ Symphony® Plus of the heritage ABB DCS (INFI-90) and the new installation on the HATS 2 expansion required no shutdowns or disruptions to normal plant operations, ensuring no loss of productivity or release of untreated water.